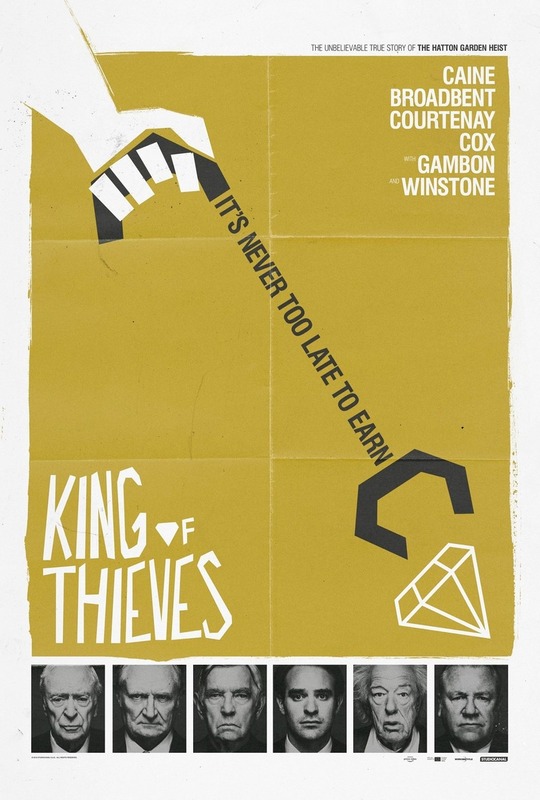 King of Thieves DVD and Blu-ray release date was set for March 26, 2019 and available on Digital HD from Amazon Video and iTunes on March 26, 2019. It's hard to retire, even if you're an older thief long past your prime. In 2015, a retired group of jewel thieves came out of retirement to commit the Hatton Garden diamond robbery in London. It was a complex and unbelievable plan which required a lot of planning and a bit of luck to work. One Scotland Yard investigator described the heist as a scheme which most movie goers wouldn't believe. The four thieves got away with more than 200 million pounds worth of diamonds and while they were eventually caught, they had a great time while they were free. DVDs Release Dates is the best source to find out when does King of Thieves come out on DVD and Blu-ray. Dates do change so check back often as the release approaches.